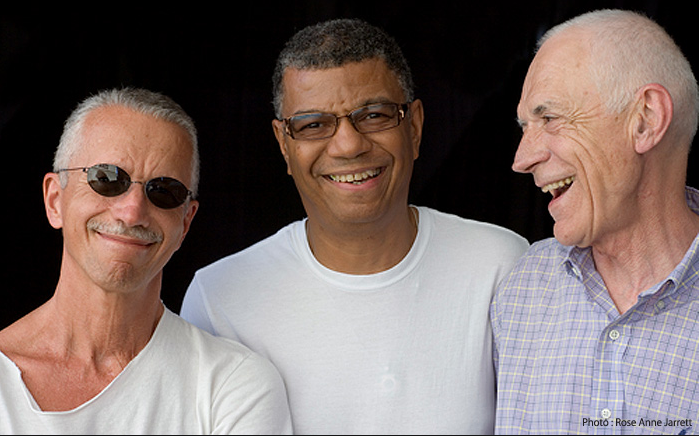 Comprising what is irrefutably one of the most important jazz trios of all time, pianist Keith Jarrett, drummer Jack DeJohnette and bassist Gary Peacock have been interpreting standards and writing originals for three decades. In the process, they've reached musical heights that only true masters attain. Live, they straddle the line between straight ahead and free jazz like no other ensemble, using classic repertoire as a launching pad for spellbinding virtuosity, stunning rhythmic counterpoint and thoughtful solo work. The trio will be playing in UCLA Royce Hall, Benaroya Hall (Seattle) and Zellerbach Hall (Berkley). Check all tour dates here.